One of the most popular Indian cricketers in history will join other stars from the sport at the Kia Oval later this month for the inaugural international Help for Heroes fundraiser, ‘Cricket for Heroes’. An inspirational captain, talented batsman and skilled wicketkeeper, MS Dhoni is widely regarded as one of the greatest finishers in limited-overs cricket. Since making his international debut in 2004 there has been no shortage of accolades for him. After leading India to victory in the ICC World Twenty20 in 2007, the now 34-year-old helped guide his nation to the top of the Test rankings for 18 months from December 2009 before winning the ICC Cricket World Cup in 2011. Commenting on his inclusion in the World XI side, Dhoni said: “I am delighted to be joining so many cricketing superstars at the Kia Oval and to be supporting such a worthy cause. 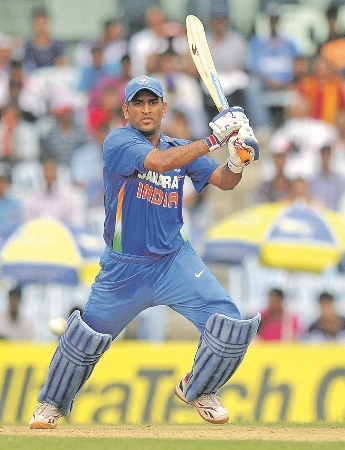 Dhoni will join fellow Indian Virender Sehwag and popular Pakistan all-rounder, Shahid Afridi, on the Help for Heroes XI side captained by England Director of Cricket, Andrew Strauss, and managed by the legendary Sir Ian Botham. They will take on a Rest of the World XI on the night containing Brendon McCullum, Matthew Hayden, Mahela Jayawardene and Graeme Smith as well as players such as Kiwis Scott Styris and Daniel Vettori. The team will be coached by Gary Kirsten and managed by the great Indian Sunil Gavaskar.